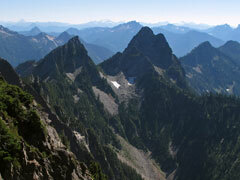 Gothic Basin is northeast of Everett, just off Mountain Loop Highway in the southwestern part of the North Cascades. I posted a full trip report on PortlandHikers.org. And, of course, here's a map.